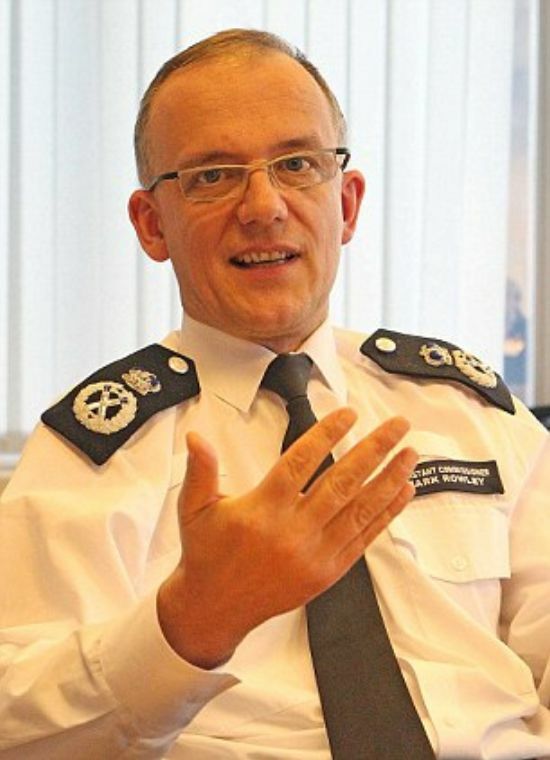 Today, Thursday 22 May, Assistant Commissioner Mark Rowley, head of Specialist Crime and Operations, met with media at New Scotland Yard to update them on Operation Grange, the London based investigation into the disappearance of Madeleine McCann. All UK based media outlets were represented at the meeting, as well as media organisations from Portugal, America, and others. The meeting was held to outline the Metropolitan Police Service position in relation to the ongoing investigation given the speculation and numerous stories that have been running for the past few weeks. AC Rowley confirmed that in the coming weeks there would be specific police activity in Portugal led at all times by the Portuguese authorities (under the auspices of an International Letter of Request or ‘Rogatory letter’), with officers from the Metropolitan Police Service working alongside. "DCI Andy Redwood, the senior investigating officer, and his team will be in Portugal carrying out various lines of enquiry. "“Thorough serious crime investigations work systematically through all credible possibilities and therefore it should not be assumed that this substantial upcoming phase of work in Portugal will immediately lead us to the answers that will explain what has happened. “What you will see is normal police activity you would expect in any such major investigation. “Similarly, this should not be seen as a sign that the investigation is nearing a conclusion. I fully expect that there will be much more work to do when this particular phase of activity comes to an end. It is helpful that any reporting of activity in Portugal is set in this context. “We will be updating Mr and Mrs McCann throughout the activity as we have been throughout the investigation. “We will not be giving information on when this activity is to occur. "The very fact that we are in the position of moving towards substantial activity in Portugal shows that the relationship between the MPS and Portuguese colleagues is working." AC Rowley issued a letter to media on 6 May 2014 stating that the advice he was receiving from Portugal was that their approach to media handling was different and they do not brief the media on current investigations. They clearly stated that if the MPS provide any briefings or information on the work they are undertaking on our behalf, or if reporters cause any disruption to their work in Portugal activity will cease until that problem dissipates. “My letter last month did map out where we stood in terms of how we could manage the media demand in this investigation. If media interfere with police work, that work will stop. I suspect that the boundaries around what that is will be apparent and I asked you to cooperate with the requests of the Portuguese authorities as the most important thing is to make this inquiry go as smoothly as possible. “On a recent visit to Portugal DCI Redwood was surrounded by a large media group asking for comments from him. “I appreciate that media group may not solely be UK agencies, and other media may state they are unaware of our repeated requests. “Please allow them the room to manoeuvre and work on what is a live investigation into the disappearance of a young girl. If you get any information ahead of our actions do not publish anything that may give suspects advance notice. The family have also made their wishes clear about allowing us and the Portuguese the room to carry on with our work and this was reinforced this publicly by Kate McCann when Andy and his team were last in Portugal. “In my initial letter I asked editors to think twice - that advice stands. We all want the same outcome - to do everything possible to try to find answers for the McCann family. “It is only fair on you I am upfront with you about what you can get and how the media might impact on the investigation.